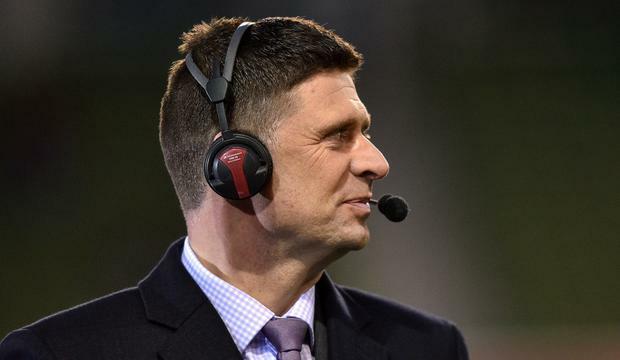 Niall Quinn has described the FAI's change of management as a "charade" and ruled out applying for the CEO job left vacant by John Delaney's move to a newly-created post. The 92-time-capped striker - who has recently held talks with the FAI about his proposed plans for the League of Ireland - has taken aim at the association's reshuffle, suggesting that Delaney should depart the FAI. Quinn was floated as a prospective candidate for the CEO role, but has said that he would not work within the FAI in its current guise. He feels the shadow of Executive Vice-President Delaney would be hanging over the next CEO. Rea Walshe is currently filling in on an interim basis. 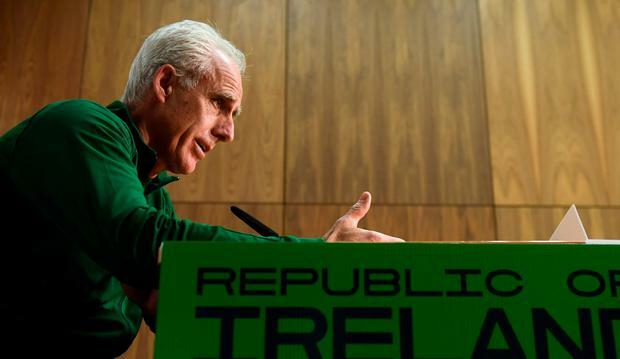 Mick McCarthy faced questions on the issue ahead of tonight's Euro 2020 qualifier with Georgia, the first home match of his second stint. Amid talk of fan protests, the manager called on fans to do it "in another place at another time". However, question marks surrounding the governance of the FAI have refused to go away with Quinn dismissing the idea that a new CEO could be appointed to work in tandem with Delaney. "Under absolutely no circumstances will I be applying for the job, given the current remit of where this job sits," Quinn told Virgin Media. "I think it reads as half a CEO role and anyone going in there will have a huge shadow over them because the departing CEO hasn't departed at all. "Quite frankly, I think it's a little bit of a charade, given the scrutiny that was in place over the last week." The 52-year-old was referring to the furore arising from the revelation that Delaney paid a €100,000 bridging loan to his employer in 2017. Details of €3,000-a-month rent paid by the FAI have infuriated staff who have suffered cutbacks in the past decade. Quinn was stunned by the timing of the FAI's board restructure. He said he was dissatisfied with "the rush of the appointment, the unanimous decision of the board to tell us all late on a Saturday night in the middle of some serious scrutiny on the CEO at that time, that this was great for the association and it was a great move and everyone should back it. "We are not buying it, I'm not buying it. I think it's an ill-conceived decision that needs to be looked at again, in my opinion. "I will say it again, it's a half a CEO role and it's a role, if it stays in its current remit, it's for a gillie." Quinn suggested that the job would become more attractive if Delaney was leaving completely. "There is one change that needs to be made and John is there 14 years now, worked hard, did what he did, has his critics and has people who swear by him. I think his time is over and it's time for a new wind of change," he said. Prettier "With the departing CEO not departing at all and taking responsibility for some of the more prettier roles in terms of heading off to UEFA, it just doesn't sit right. "He (Delaney) has been around a long time, he has done it, he has had his go. It's probably high time now that a different FAI appear." McCarthy found himself at the centre of the storm, with a routine pre-match press conference moving quickly beyond discussion of an ankle problem troubling centre-half Shane Duffy. "I hope they (fans) are coming to watch a football match," he said. "They want us to win and give us a better chance and get behind us and not have outside influences affecting it." He stopped short of declaring the visit of Georgia a 'must-win' game but admitted that a positive approach is needed to lift the mood.